Kule Mail Express [KME] has 3 very unique mailers to offer you. MAILER 1 - is a huge mailer called the Jumbo Mailer. MAILER 2 - is a mailer that is built for you called the Maxi Mailer and MAILER 3 - is an all paid mailer. These are the Next Generation of mailers and we invite you to join us and prosper from them. What is Kule Mail Express (KME)? Kule Mail Express (KME) is A NEW Generation of Mailers. It is a smart way for you to grow your business and increase sales. You can use our 3 first-class very unique mailers to reach thousands of active users every day. What membership levels are available at KME? There are 5 membership levels. Free, Pro Lite, Pro, Executive and Founder. Pro Lite is $97.00 per year. Pro level is $197.00 one time. Expert level is $297.00 one time. Founder is $697.00 one time. Can I join Kule Mail Express free? Yes! You can join KME FREE and you can advertise 2 website links FREE. Simply log into your KME account and read 3 ads a day to activate and keep your own ads visible on the network. If you want to mail to a list or build your own we have a super low cost mini mailer you can join for just $5.00. You can also upgrade your account to use the main mailers at the site. What does a Pro Lite member of KME get? The Pro Lite level is $97.00 per year. You get access to the Jumbo Mailer which lets you mail to 1500 random members every 5 days. You get access to the Maxi mailer which lets you mail every 5 days to everyone who who joins after you no matter who signs them up. You Get FREE entry into our mini mailer. Plus you get You get 1 free feature ad with 10:1 ad rotation for a year and 2 free link ads at a 10:1 ad rotation for a year. Package value $2,239.00. What does a Pro Member of KME get? The Pro level is $197.00 one time on signup. You get access to the Jumbo Mailer and you can mail to 3,500 random members every 3 days. You get access to the Maxi mailer and you can mail every 3 days to everyone who who joins after you no matter who signs them up. You get FREE entry into the Mini Mailer. Plus you get You get 1 free feature ad with a 25:1 ad rotation for life and 4 free link ads with a 25:1 ad rotation for life. Package value $4,559.00. What does an Executive member of KME get? The Executive Level is $297.00 one time on signup. You get access to the Jumbo Mailer and you can mail to 5,500 random members every 2 days. You get access to the Maxi mailer and you can mail every 2 days to everyone who who joins after you no matter who recruits them. You get FREE Entry into the Mini Mailer. Plus you get You get 2 free lifetime feature ads with 50:1 ad rotations, and 6 free lifetime link ads with 50:1 Ad rotations. Package value $12,189.00. What does a Founder member of KME get? What commissions do you pay at KME? Free users earn 20%. Pro Lite and Pro users earn 30%. Executive users earn 35%. Founders earn 50%. Commissions will be paid weekly on Fridays on Fridays to your paypal or solid trust pay account. If you elect to be paid by check, there is a minimum payout of 25.00 required. 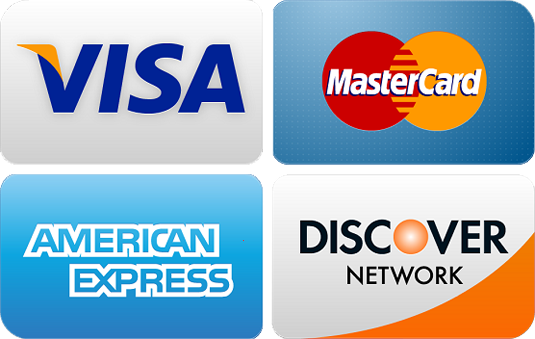 There is not minimum for a Paypal or Solid Trust Pay payment. How do I join KME? Go to the home page http://kulemailexpress.com or your sponsor's affiliate link. Click on the join free button. Follow the simple sign up form, verify your email address and that's it. You are now a KME member. Watch for the One Time Offers as you sign up. If you did not use a gmail address to sign up to KME, you may not receive your validation email. We recommend you sign up again using a gmail address. If you did use a gmail address we will resend your validation email within 24 hours. Do You Have Training On KME? Yes. You will find training in the members area of KME and there is ongoing training of how to make money with KME. What is a Jumbo Mailer? A Jumbo Mailer allows paying members of KME to access our huge lists of over half a million members. Depending on your membership level you can mail daily to up to 10,000 members a day. What is a Maxi Mailer? A Maxi Mailer is a mailer that is developed by the membership of KME. All members that promote the site bring new members into KME and you get to mail to all of the members who sign up after you no matter who brings them into the site. Depending on your membership level at KME, you can mail daily to the entire KME list of members who joined after you. The earlier you signup the more you benefit. What is a Mini Mailer? This one is a doozy! A Mini Mailer is a mailer that is made up of all PAID members you can mail to. If you upgrade to Pro Lite, Pro, Exec or Founder Level you get FREE entry into our mini mailer. Each Mini Mailer has 39 members when it is filled. Once you reach 39 paid members, we will pay a $50.00 builders bonus. This bonus is in addition to the regular commissions that you make from any upgrades you bring in. When you fill a Mini Mailer you will be given the option to start a new one for 5 bucks. This will give you a new ALL PAID Mini Mailer to mail to. You will also be paid another $50.00 when this one is filled. Most importantly (and you are going to love this part) any larger upgrades you get automatically go into your mini mailer, plus those in your Mini Mailer who start their own mini mailers pass up their 2nd, 5th, and 9th people to you. This means others will help you fill your Mini Mailer. You will be building highly effective ALL PAID Mailers at an incredible low price. It's a no-brainer. Get your Mini Mailer today. Who Owns and Operates Kule Mail Express? Do I earn Mini Mailer commissions? Do not earn commissions on each signup in the Mini Mailer. We pay you a Builders BONUS of $50.00 when each Mini Mailer is filled. Kule Coins are credits that members can earn by reading ads at the KME site. The can be used to induce people to sign up under you at KME or to upgrade under you at KME or to sign up and upgrade under you at any site that you may be promoting.